Nevermind the real thing… Bows and arrows have become a staple of video games. They’ve appeared across multiple eras and genres in many different forms, sometimes as the game’s focus and other times as just another weapon to use. If you’re a fan of archery and you need something to keep you entertained in the off-season, take a look through this article, there’s something for everyone. 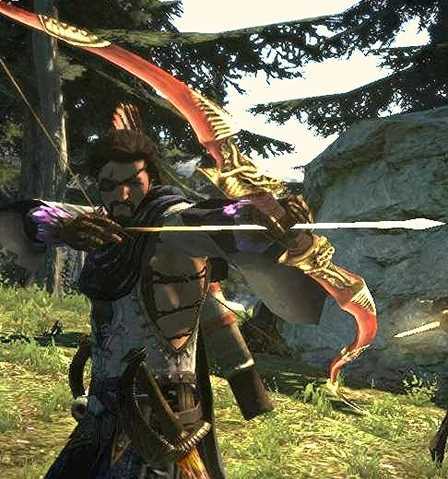 We’ve compiled a comprehensive guide to 50 of the best bows in video games. There’s a smattering of all types of bow from the recurves to the compound and a specific list for crossbows. Quick NavigationTop 8 Retro Bows for Pixel LoversOur Top 7 Crossbows in Video Games5 of the Most Magical Game BowsOur Top 6 Sci-Fi FavoritesThe Most Real? 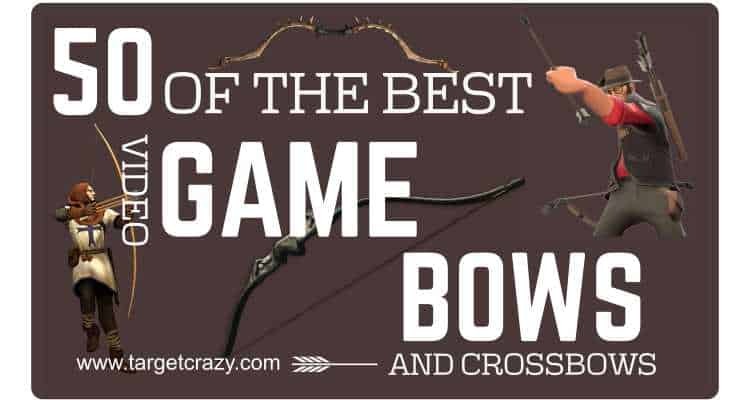 – 4 Great VR BowsIs This The Worst Archery Game Ever?At Last – Our Top 20 Bow and Arrow Games!﻿Did I Miss Your Favorite? ​If you think bows are confined to modern 3D games, you’d be mistaken. Here are 8 of our favorites from retro games, retro-inspired games, and other 2D games. 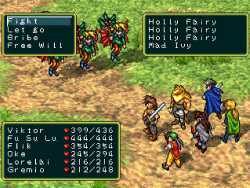 While Suikoden largely plays like a traditional turn-based RPG, it has a unique feature known as Army Battles where your forces fight the enemy in a large-scale attack. In the first game, the player gives commands during these sequences. The “Bow” command is effective against the enemy’s mages, and while it’s a simple rock-paper-scissors setup, there’s something satisfying about watching your archers rain down arrows upon the shrinking enemy army. When the original Gauntlet came to arcades in 1985, it had four character classes available. Among them was the Elf. The Elf primarily fights with a bow, and is the ideal choice for players who prefer ranged gameplay. Some games in the series have replaced the Elf with the Archer. She is even better-suited for ranged combat. Terraria has many bows you can equip as weapons, but one of the best is the Tsunami. The Tsunami fires five parallel arrows per shot, but only uses up one arrow from your inventory at a time. With the right arrows and accessories, you can use this bow to deal huge amounts of damage to your enemies. You’ll need to work hard to get it, however, because the Tsunami is a rare drop from Duke Fishron, one of the toughest bosses in the game. When you think “Minecraft,” you think “archery,” right? Right? Well, the bow might be a simple item to craft, as it only requires three sticks and three pieces of string, but Minecraft archery is actually a big deal. Players have built archery ranges, set up archery mini-games and competitions, and developed extensive strategies for becoming the best Minecraft archers. That little bow means a lot to many fans. In the boss-focused, retro-styled Titan Souls, the bow and arrow is a vital weapon… because it’s the only one you have. The protagonist has a single bow and a single arrow, but can summon the arrow back. It is implied that there is something terrible about the arrow, which might be why it has the power to defeat titans, but terrible or wonderful, it’s the tool you need to take down your colossal foes. 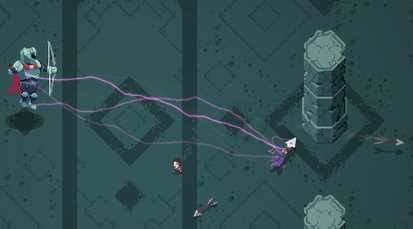 Like Titan Souls, TowerFall is all about archery, except this time with four players pitted against each other. TowerFall (and its later port, TowerFall Ascension) prove that a good bow is all you need for a four-player party game. Meanwhile, powerups let you try out just about every type of arrow you could dream of: bomb arrows, laser arrows, bolt arrows, and more! Let’s travel all the way back to the days of the NES, when Track & Field let players try their hands at various sports, including archery. So, what makes Track & Field’s archery so impressive? Well, while the simple control scheme means you only have to press a single button to fire an arrow, holding down the button changes the angle you’ll fire at. This, together with the positioning of the target, forces an impressive amount of control and precision for the time. Remember, this was on the NES, after all. But our favorite bow from older games is the enhanced Sacred Bow wielded by Pit in Kid Icarus. While he starts out wielding a short-range bow, the Sacred Bow lets him fire arrow much faster and farther. Pit has an unlimited supply of arrows and can use Fire Arrows to deal more damage. By the time Pit returned in Kid Icarus: Uprising, the bow was only one of many weapons he used, but in the original two games, it was his primary weapon of choice. The latest Nintendo – Kid Icarus. Just copy and paste the code below in the box below into the HTML of your page​ to show this infographic on your site with the correct attribution! You’re welcome! ​If there’s one controversy that often arises whenever fans discuss the best bows in video games, it’s whether or not crossbows count. They are bows, after all, but are they too different to be placed on a list with other types? Well, let’s single them out and take a look at 7 of the best crossbows in video games. In one of the most unusually controversial examples, Link’s Crossbow Training was a Wii game designed solely to show off the Wii Zapper. 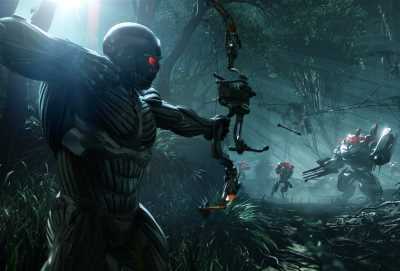 The game is entirely focused on crossbow shooting, with a few different modes to fight enemies or just shoot targets. Of course, this means there isn’t a lot of content, and it certainly isn’t a full Legend of Zelda game, so many players dismiss it as not worth their time. Nevertheless, if you’re looking for a pure crossbow experience, Link’s Crossbow Training is one of the best. 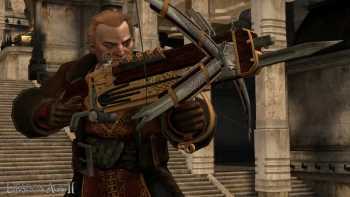 In the Dragon Age games, Varric’s iconic weapon is his repeating crossbow, which he has lovingly named Bianca. Bianca, named after another dwarf, is a powerful weapon with a magnificent design, highly praised by characters who see it. It’s also the only crossbow you can use in Dragon Age II and Dragon Age Inquisition, which makes it even more notable. Available only in the Separate Ways mini-campaign unlocked after you complete the main campaign of Resident Evil 4, the Bowgun is a special crossbow that fires explosive bolts. It takes up a large amount of Ada’s inventory space, but it’s also fairly powerful, so if you want to fight bosses with an explosive crossbow, keep an eye on the Merchant’s stock in Separate Ways. When your weapon is called “agony,” you know it’s going to do some damage. The Agony Crossbow in The Evil Within has a melee attack as well as ranged attacks, and many different types of ammunition can be found (and crafted) for it. These include explosive bolts, freeze bolts, harpoon bolts, and many others. Its power and variety make it an excellent weapon against both regular enemies and bosses. It’s actually possible to miss the crossbow earlier in the game, but fortunately it appears a second time later on. The Mamushi Type-14 Crossbow, named after a venomous snake, is a powerful weapon found in the 2013 Shadow Warrior reboot. This crossbow has low recoil, high accuracy, and explosive arrows. It can even be upgraded to fire sticky bomb ammunition, which makes it a force to be reckoned with. For many players, the crossbow is their weapon of choice for its sheer destructive capabilities. The first Half-Life includes a regular crossbow weapon, but Half-Life 2 introduces the Resistance Crossbow. This crossbow functions as a sniper, with a scope that lets you zoom in on distance targets. It will kill human-sized enemies instantly, although it isn’t as effective at close range or against large enemies. It won’t work in any situation, but it’s one of the most powerful weapons in the game. Not only is the crossbow in BioShock one of our favorite video game crossbows, but it’s also considered by many players to be the best BioShock weapon. It deals excellent damage with multiple types of ammunition, it is powerful at both short-range and long-range, and a headshot from the crossbow will kill a Splicer in one hit on any difficulty setting. 2K Games Bioshock. If that’s not enough, its bolts can often be recovered intact (and you can upgrade it to make this more likely), which means it’s an incredibly powerful weapon with a ready supply of ammo. It doesn’t get much better than that. Who needs regular arrows when you have magic? Five of our favorite video game bows are holy, magical, or just plain weird. Let’s take a look at some weapons you’ll definitely never find in the real world. While not explicitly divine, Marle’s best weapon in Chrono Trigger is the Venus Bow, named after the Roman goddess of love. It’s definitely not your typical bow, as it has no attack stat. Instead, it deals exactly 777 damage every time, regardless of defense. Of course, this means you can’t get critical hits with it, either, but at least you always know what to expect. Light Arrows appear in many Legend of Zelda games as special enchanted arrows capable of stunning Ganon. They’re often wielded by Zelda herself, and as of Twilight Princess, they’ve appeared in connection with the Bow of Light. The Light Spirits grant Zelda the Bow of Light, and she uses this shining bow to fire Light Arrows. It’s not a bow you can use all the time, and in some games, Link doesn’t wield it at all but it’s definitely noteworthy. Who says magical bows have to be powered by light? The Artemis weapon in Devil May Cry 3 falls into a weird in-between category where it’s part bow and part gun. It fires arrows, though arrows made from demonic energy. Artemis can fire either one arrow at a time or charged bursts of arrows, and they home in the target for extra effectiveness. Like Artemis, the Arrowguns wielded by Xigbar in the Kingdom Hearts series are part bow and part gun, but in an even more unusual way. They are twin crossbows that fire laser arrows. Laser crossbow guns are unusual enough, but they can also be combined together to form a sniper rifle. In the original North American release, this was censored to have him snipe simply by using one arrowgun as a balance for the other which on second thought might be even weirder. It takes a lot for a magical bow to beat blessed weapons, demonic arrows, and laser-crossbow-snipers, but Bayonetta is here to prove bows can be much, much stranger. 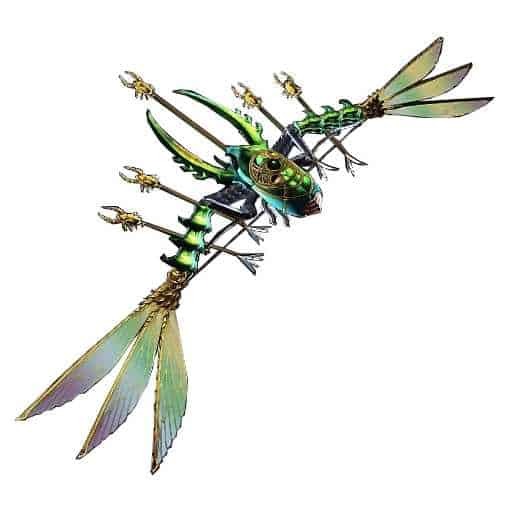 The Kafka, a new bow added in Bayonetta 2 and named in honor of Franz Kafka’s “The Metamorphosis,” has a dragonfly-like appearance and shoots poison arrows. According to its in-game description, the bow comes from a man who metamorphosed into a insect and lives on inside the weapon to fire arrows made of venomous bugs. Indeed, if you perform an Umbran Climax while wielding this bow, it fires massive, demonic dragonflies at the enemy. A bow that shoots demonic dragonflies instead of arrows? It doesn’t get much weirder than that. Nintendo – Bayonetta 2 site. Ah, there’s nothing like the dazzling futuristic weaponry found in science fiction games. Lasers, high-tech guns, bows… Wait, bows? Yes, even though archers are hardly swarming today’s battlefields, they are in high demand on the battlefields of the future. Just as light sabers prove swords have a place in science fiction, the humble bow has proven surprisingly popular in sci-fi video games, usually with some futuristic modifications. Here are 6 of our favorite bows that have persisted long after the modern era. In an example that could fit both here and on the crossbow list, the Gears of War series brings us a crossbow-style coilgun wielded by certain Locust warriors. The Torque Bow uses a tiny motor to transfer additional kinetic energy to the explosive, armor-piercing arrow it fires. Although it has to be charged for its full effectiveness, it is an accurate, deadly, long-range weapon effective in many situations for both single player and multiplayer. At least the protagonist of Horizon: Zero Dawn has an excuse for fighting with a bow. The blend of primitive and futuristic technology is one of the most interesting parts of the game’s setting. There are three types of bows in Horizon: Hunter Bows, Sharpshot Bows, and War Bows. Each has its own strengths and weaknesses, and each has more powerful variants. The types of arrows available are surprisingly normal… until you look at the ammunition fired by the War Bow, which includes electrifying Shock Arrows and Corruption Arrows that turn machines hostile. Warframe places its players in the shoes of the Tenno, ancient warriors who wake up from cryosleep to find themselves at war with a variety of enemies. A lot of players favor bows, especially the Rakta Cernos, a modified bow with high damage and faster charge time than any other weapon–a combination that makes it one of the most powerful weapons in the game. Add in the ability to deal special Viral damage, and it’s no wonder the Rakta Cernos is a fan favorite bow. The Metro series definitely isn’t as sci-fi as most of the entries in this section, but it’s still set in the future. While technically a gun–a pneumatic air rifle, to be specific–we’ve included the Helsing because it fires arrows. This makes it an effective weapon for stealth, it deals a significant amount of damage, and its arrows (though expensive) are reusable if you reclaim them after firing. The Helsing isn’t the best weapon for every situation, particularly due to the trajectory of its arrows, but it is a devastating weapon in the right hands. In Metro Exodus, the Helsing will gain a crossbow variant. The Tek Bow is one of the most iconic weapons of the Turok franchise. It first appeared in the 1993 comic Turok: Dinosaur Hunter, as well as later comics, and then appeared in the Turok video games. It has appeared in different forms and styles across the various games, and the type of arrows it can fire also varies, but it is consistently a powerful and dependable weapon. The Tek Bow might be the most recognizable part of the Turok series, and that alone makes it noteworthy among video game bows. We’ve talked about many different types of bows, but what about an auto-loading compound bow? The Predator Bow from Crysis 3 is a fan-favorite, with three draw weights you can switch between and four different types of arrows to fire: carbon-impact, electro/shock, airburst fragmentation, and super-thermite. In single player, it has its own weapon slot, and it is also the only weapon you can fire while Cloaked without using energy. In short, the Predator Bow is one of the best bows in video games, science fiction or otherwise. Crytek official site. Despite our lead-in, virtual reality games don’t have to be realistic. Instead of focusing on ordinary target practice, the developers of #Archery decided to create a world where you need to use a bow and arrow for everything. While it plays like an archery simulation, it tasks you with using your bow to make pizza, deliver newspapers, and more. Who knew bows could be so versatile? While most VR archery games so far have focused on simulations and mini-games, let’s talk about one that functions as a full single-player game. Twisted Arrow is a first-person arcade-style shooter in which you explore a city and fight with a powerful combat bow known as the Manticore. This bow is built around fast-paced action and includes multiple types of ammunition (including explosive and freeze arrows). It may not be the most realistic simulation, but it’s a good game focused on combat and fun. If you’ve looked into virtual reality games, you’ve probably heard of The Lab, a compilation of 8 mini-games from Valve set in the Portal universe. One of the games is called Longbow, an archery game where you use one motion controller as the bow shaft and the other as the arrow. Archery in The Lab is a popular choice for its accurate representation of actual archery. QuiVr is a multiplayer wave shooter designed specifically to be a fun, accurate archery game. Your trusty bow will let you take down wave after wave of enemies, with physics designed to feel like actual archery. QuiVr isn’t the fullest gameplay experience out there yet, but if you want to feel like you’re wielding a bow and take down enemies at the same time, this is the VR bow we like the most. QuiVR on steam. Is This The Worst Archery Game Ever? 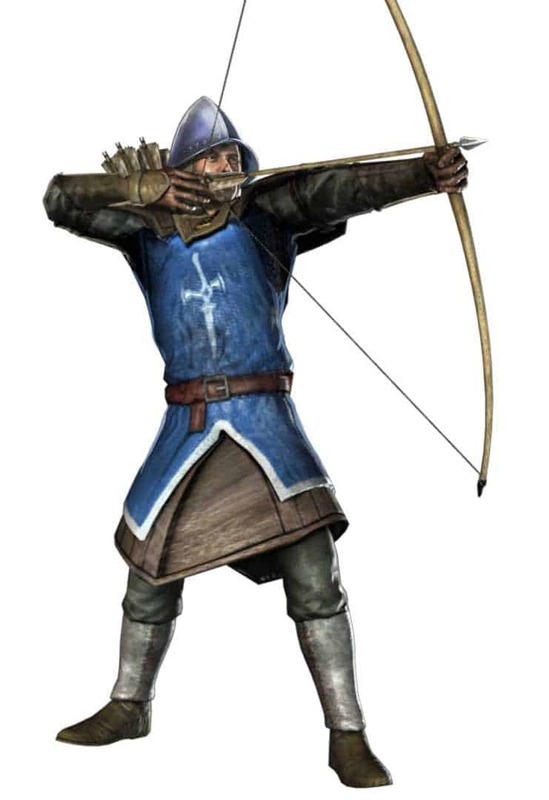 Before we move on to our favorite bows in video games, we have to give a quick shout-out to the complicated bow used in the game Probably Archery. Is Probably Archery the best, most entertaining archery sim out there, or is it the worst archery sim with unnecessarily cumbersome controls? (probably!) Depending on who you ask, you’ll hear both answers, making this the most controversial (or perhaps subjective) video game bow. Checkout this video from Markiplier, it pretty much sums up the frustration many people experience playing this one and how the control scheme is well… easy to mock! At Last – Our Top 20 Bow and Arrow Games! At last we’ve finished going through all the special categories for particularly unique or unusual bows, and we’re ready to take a look at a broader category. Some of these bows are in games where archery is a main focus, while others just happen to have a good archery component, but either way, these are our top 20 bows in video games and some of the games you most want to seek out if you’re looking for a fun archery experience. The bow and arrow might not be able to kill your enemies in Shadow of the Colossus, but it’s a critical part of the process. You have unlimited arrows, and you can shoot colossi to get their attention or to attack weak points. 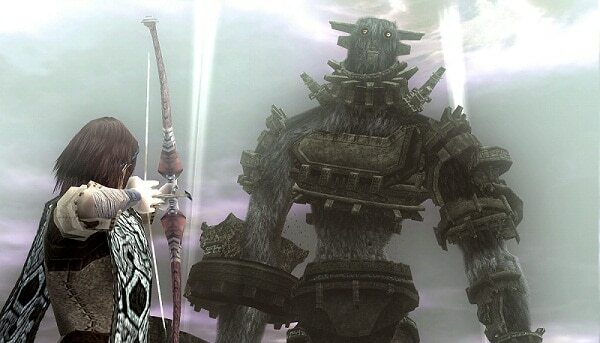 In fact, there are several colossi that can’t be defeated without the bow. The bow is also a useful tool for collecting fruit and lizard tails, and some players also use it to test whether surfaces are climbable or not. In short, while you can’t rely on the bow alone, it’s a handy weapon you don’t want to be without. Since it’s tied to a specific character, Hanzo’s Storm Bow is a bit different from other entries on this list, but many Overwatch players who favor Hanzo do so simply because they find his gameplay style fun. Wielding his powerful bow, Hanzo climbs walls to attack enemies with regular arrows, sonar arrows that track enemies, and fragmenting arrows. The Zombies storylines in Call of Duty games have long since taken on an identity beyond just shooting zombies, so it’s little surprise that if you feed enough zombies to Dragons in Black Ops III, you’ll earn a powerful elemental bow called the Wrath of the Ancients. All right, so maybe it’s still a little surprising. The Wrath of the Ancients can hold 60 arrows, fire at a fast rate, and shoot explosive arrows. It can be upgraded into four different versions with different elemental effects. It also has a multiplayer counterpart called the Sparrow that is also effective, but our pick goes to Wrath of the Ancients. We already touched on the Legend of Zelda series with the Bow of Light and Link’s Crossbow Training (giving it more representation on this list than any other series), but let’s not forget that a regular bow is one of the series’ staples. From the original Legend of Zelda up through Breath of the Wild, the Bow, (sometimes called the Hero’s Bow) is a trusty weapon you’ll use to solve puzzles, defeat enemies, and win mini-games. It’s fun, useful, and iconic–definitely one of our favorites. Trying to pick the best bow in Dark Souls isn’t an easy task, because it results in lengthy analyses that depend on your build and playstyle. We’ve picked the Composite Bow. While it isn’t the best weapon for long-range attacks, it has an emphasis on damage and speed, allowing you to quickly fire powerful shots. As long as your have the high strength and dexterity needed to wield it effectively, the Composite Bow can be a devastating weapon. Like in Dark Souls, the best bow in Dragon’s Dogma depends on how you play. One of the best is the strength-focused short bow called Darkening Storm. It does the highest physical damage of any short bow, although it can’t be used effectively until you’re at least level 51. 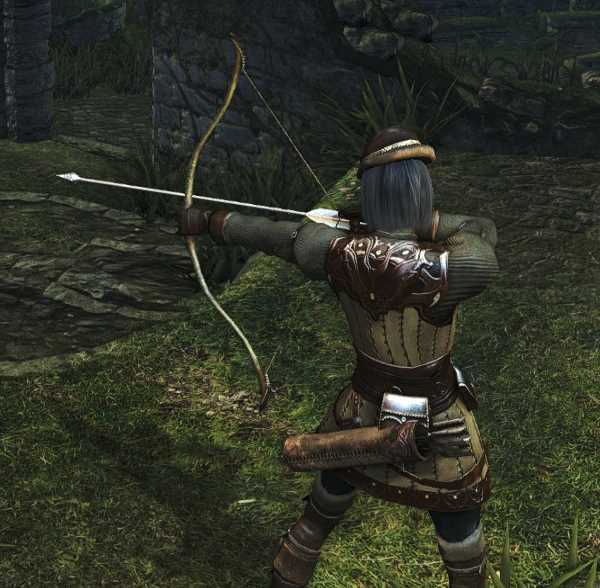 Many players enjoy the archery combat in Dragon’s Dogma in general, which makes this a very fun bow to use. If you love the combat of Team Fortress 2 but wish you could play as an archer instead of the gunman, you should look into the Huntsman. The Huntsman is a recurve bow for the Sniper that lets you snipe enemies with arrows. While it isn’t as good as a sniper rifle for long-range attacks, it is a much faster weapon and quite effective from shorter distances. Fire weapons can also light your arrows on fire for added fun and destruction. Pirates, Vikings, and Knights II and its predecessor are team-based multiplayer games in which players fight each other as… well, pirates, vikings, and knights! If you choose the knight faction, you can play as an archer, a long-range class that wields both a longbow and a crossbow. The archer’s quick attacks make this a favorite game for players who prefer archery-based combat styles. While plenty of weapons area available to you in Skyrim, it’s another go-to choice for archery, because many players love the way it feels. And if you’re going to use a bow in Skyrim, our vote goes to the Dragonbone Bow introduced in Dawnguard. Although heavy, it has the highest base damage of any bow, which makes it a fan-favorite. In the original Thief series, Garrett wields a dependable recurve bow. It never loses power and can’t be lost, and it’s almost always available except at a few key points. A wide range of arrows are available, from basic broadhead arrows and fire arrows to the much more unusual water arrows and moss arrows. In the reboot, Garrett uses a Compound Bow instead, and while that’s also a great and versatile weapon, we favor the original. 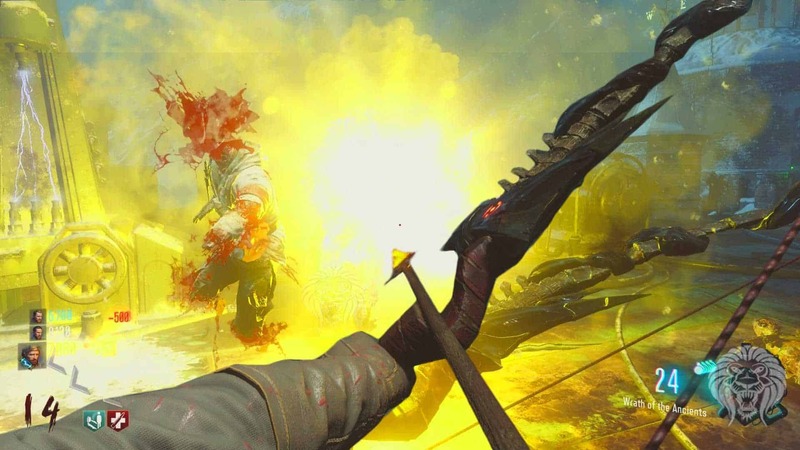 In Far Cry 3 and Far Cry 4, you can obtain a Recurve Bow. Your experience with it greatly depends on your playstyle, but to players who like fighting with a bow, this can be one of the best weapons in the game–especially in Far Cry 3, where it can kill most enemies with a single arrow. Regular arrows can be retrieved, and non-retrievable Fire and Explosive arrows are also available, making this weapon an excellent choice for stealthy playthroughs. 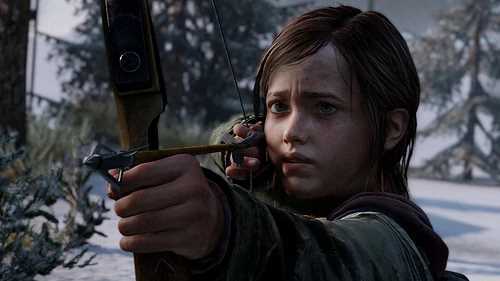 Technically classified as a “long gun,” the bow in The Last of Us is a critical weapon for stealth. 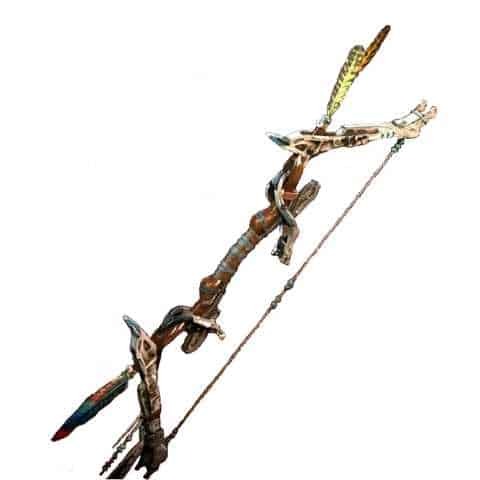 It can defeat unaware enemies in one shot, its arrows can be retrieved and reused unless they break, and its shots even follow similar trajectories to those in real life, which makes it a good choice for players interested in a more realistic video game bow. It may be slow to fire, but its silence gives it a definite advantage. War of the Roses is an action game set in the 15th century, with both melee and ranged weapons available. Its archery is one of its standout features, and the Elm Self Bow is the fastest bow in the game. It isn’t the strongest, but its strengths outweigh its weaknesses. With attachments and special ammunitions, a skilled archer wielding an Elm Self Bow can devastate the opponents. Unfortunately, War of the Roses shut down, which means new players can no longer experience its archery. 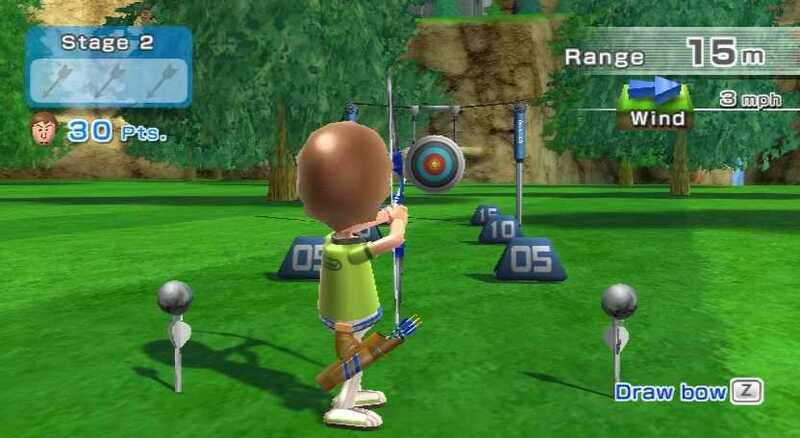 For players interested in a pure archery experience, the Archery game in Wii Sports Resort is sure to pop up as a recommendation. Archery uses the Wii Remote and Nunchuk to simulate firing a bow, with targets to hit and hidden shots to make. There are a few different modes, though ultimately not much content aside from shooting targets… but that hasn’t stopped the Wiimote & Nunchuk bow from becoming a popular one. The Longbow is an unlockable weapon in Resident Evil 5 that can only be wielded by Sheva. It has unlimited ammo, but no targeting reticule, which means players using this bow must practice with it to learn how to aim. Once you know how to use it properly, it’s an extremely powerful weapon. Its strength, together with its unique challenge, makes it stand out among video game bows. Of course, it’s also possible to let Sheva’s AI fight alongside you with the Longbow, but make sure it’s her only weapon if you want the AI to rely on it. Azkâr is a special bow originally made for Celebrimbor, but Talion can use it in Middle-earth: Shadow of Mordor when he enters the Wraith world while in Ranged mode. This bow can be upgraded with Runes to gain special bonuses, and Shadow of Mordor is another game where archery is generally enjoyed by fans. You may not use it often, but between its gameplay and its connections to Lord of the Rings lore, we feel Azkâr deserves recognition. 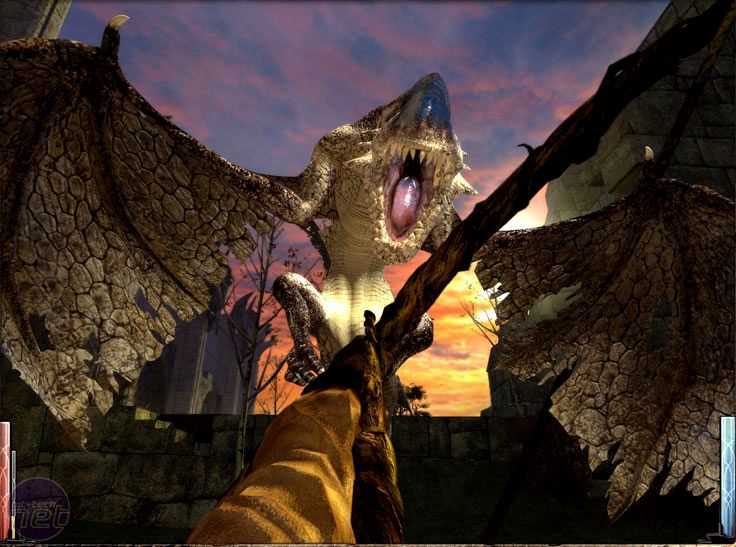 The Bow of the Dragonhorn available in Dark Messiah of Might & Magic is one of the most powerful bows in the game (especially against undead enemies), but that’s not why it has such a high spot on this list. Instead, we picked it out because many players consider Dark Messiah to have some of the most realistic and satisfying archery in video games, with realistic aiming and physics. Okay, the best bow is pretty divisive among fans, but whether you favorite the Khergit Bow or one of the others, Mount & Blade: Warband is a must for satisfying archery combat. Just the fact that so many different bows can be considered the best depending on your style and preferences points to how strong its archery is. Not only that, but it has fairly realistic physics and aiming. In general, using a bow in Mount & Blade: Warband finds a nice balance point between realism and fun. 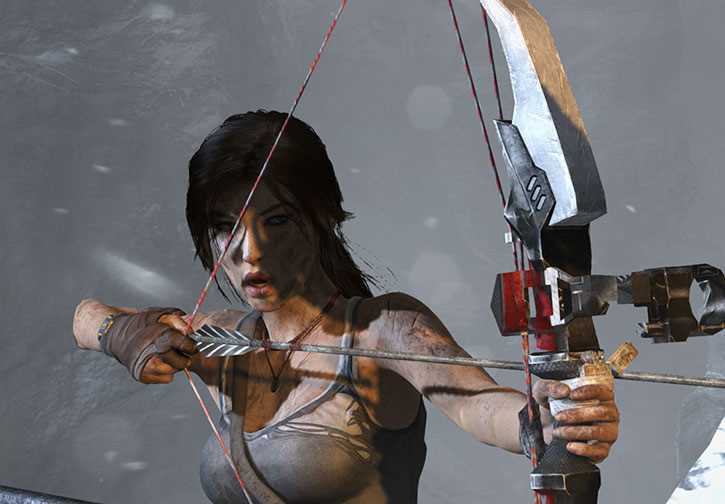 As of the Tomb Raider reboot, the bow has become Lara’s standard weapon. There are many different types of bows you can use, as well as various special arrows, but as long as you don’t mind its slower rate of fire, the Compound Bow is one of the best. It deals heavy damage and is a great choice for stealth. Tomb Raider and Rise of the Tomb Raider don’t have the most realistic archery combat, but they do make it fun, so give their bows a try. Age of Chivalry is a free total conversation mod for Half-Life 2 focused on medieval combat between two fictional orders. Not only is archery a strong focus, but it’s also fairly realistic. Age of Chivalry is another go-to game for players interested in bows that try to feel realistic. And that’s it! If you got down here then thanks for reading and I hope I’ve opened your eyes to the multitude of ways you can experience archery on your games console or PC! Are there any video games featuring practice in Kyudo?